More than one year after the last encampments were dismantled, no material trace of Occupy remains in the cities where it established itself. In the corporate media–once breathless with speculation as to the movement’s origins and intentions and loud in its declamations of criticism—there is now only silence. A movement which was portrayed as having come from nothing has, seemingly, returned to nothing, having changed nothing. The very social problems it denounced– widening inequality, the tyranny of finance capital, the totalitarian power of the surveillance-security state, the subordination of democracy to money-value: remain or are getting worse. By any metric of political success Occupy seems to have been a failure, at best a juvenile political jamboree that exhausted itself because of its programmatic vacuity and hyperbolic rhetoric. Occupy did indeed encourage hyperbolic rhetoric, and its reach far exceeded its grasp. At the same time, it did not emerge from nothing and it did not collapse back into nothing. The original occupation of Zuccotti Park in New York City in September 17th, 2011, was certainly unexpected, but it was not without precedent, and was motivated by the effects of the economic crisis which had began in 2008. The tactic of occupation was first practiced by striking teachers in Oaxaca Mexico in 2006-2007. Their strike sparked a social movement built around the occupation of public spaces and government buildings that lasted 6 months. 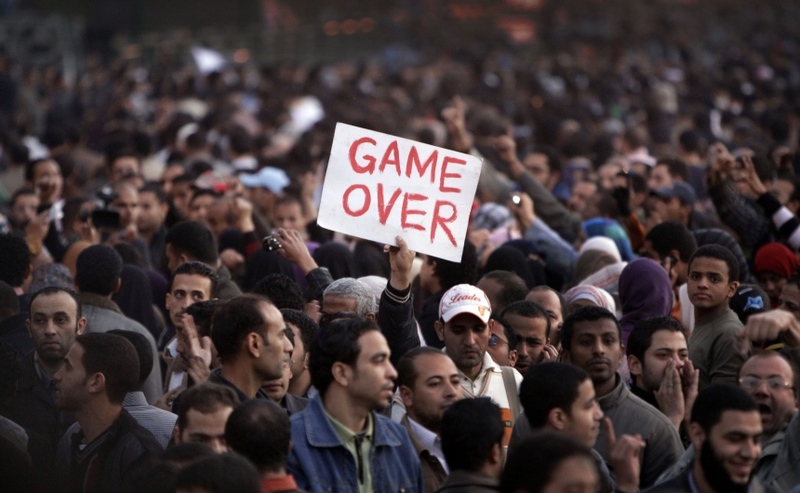 On January 25th, 2011, the Egyptian revolution intensified with the occupation of Tahrir Square by close to 50 000 anti-Mubarak activists. This occupation inspired teachers and public sector workers threatened with anti-union legislation in Wisconsin to occupy the state legislature on February 15th, 2011. The tactic of occupation was thus already well-established by the time a march on Wall Street unintentionally arrived, and then remained, in Zuccotti Park on September 17th, 2011. In retrospect, two principles united these geographically disparate movements. First was the conclusion that time-limited demonstrations are ineffective vehicles of democratic social change, because they are too easily ignored by ruling powers who simply wait for the march to end and people to go home before resuming business as usual. Second was the positive inverse of this negative conclusion: in order to effect fundamental social changes democratic movements must physically reclaim public space–the space in which the political public can democratically organize and express itself—and put it to work as a site for popular education, mobilization, resistance, and experimentation with alternative social relationships and practices. The tactic of occupation, whether in Tahrir Square or Zuccotti Park or any of the other thousands of cities in which camps sprouted aimed to be a direct and immediate embodiment of the values the demonstrators stood for: direct democracy, reciprocity and sharing, inclusion and mutual respect. The success or failure of Occupy should not be measured by the absolute metric underlying the question: did the camps solve the social problems they decried or did they not? Rather, it should be measured by a metric of movement along a political continuum underlying the different question: did Occupy advance the open-ended and long term struggle to solve the problems it identified, or did it leave the struggle where it was before, or did it cause it to regress? The first question assumes the normalcy and necessity of capitalist temporality: that which is real and valuable is only that which can be realized in an instant. It is the temporality of capitalist consumer demand: I want X, I have the means of paying for X, so give me X right now. Social change operates according to a different temporal rhythm. Struggles unfold unevenly over open-ended time frames. If liberalism is still trying to work out the concrete implications of equal citizenship rights more than two hundred years after the Declaration of Independence, (are group rights consistent with liberalism, are positive rights consistent with liberalism, etc?) it should surprise no one that building a sustainable democratic alternative to liberal-capitalism will require many experiments whose lessons take many decades to fully understand and sustainably institutionalize. This evaluation will adopt the second approach, which is the only approach serious historico-political analysis can adopt, as the only one consistent with all available evidence about the rhythms of social change. It will focus on Occupy’s achievements and limitations in three dimensions: 1) the underlying values that it affirmed and which provided its political orientation; 2) the practice of participatory or “horizontal” democracy; and 3) its material results and contribution to the future of the struggle for a democratic and life-valuable alternative to liberal-capitalism. The mainstream media reports facts, but never the causal webs that explain those facts. Thus, to the mainstream media, Occupy seemed a movement without influence and without precedent, amorphous, incoherent, and chaotic. However, as noted, Occupy had proximate influences and precedents, but it also had a narrow and wide historical context that shaped its values and its demands. The narrow historical context was the 2008 economic crisis, a crisis whose intensity had not abated by 2011. Its wider historical context was the neo-liberal re-structuring of capitalism, a longer term class project that began in the early 1970’s. It was the neo-liberal re-organization of capitalism that created the political, legal-regulatory, and ideological conditions that underlay the 2008 crisis. Neo-liberal policy-makers first attacked the economic power of organized labour by globalizing production, weakening the ability of workers to maintain their standard of living through collective bargaining. Once the power of unions to bargain wages and benefits was compromised, its political power could be targeted. Now forced to compete with much lower cost production zones, workers in North America were forced onto the defensive, focussed on keeping what they had rather than demanding more. This defensive posture backfired. 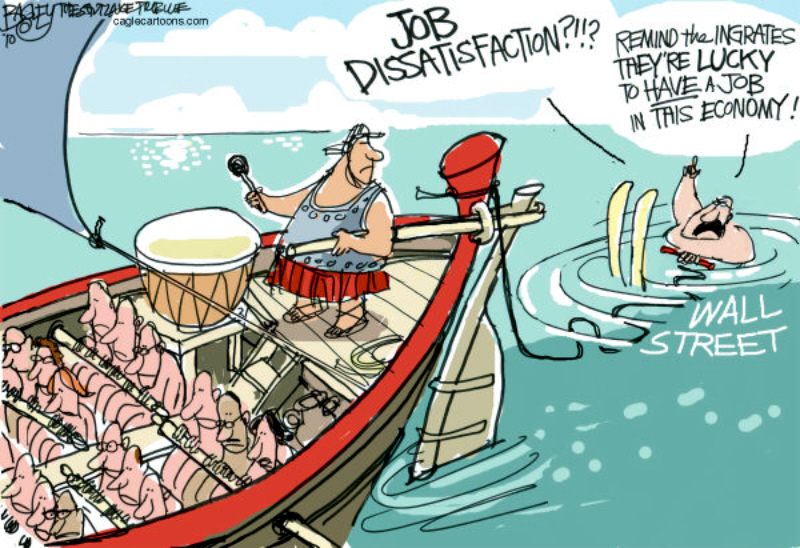 Employers, in open collusion with the state, used the threat of moving production off-shore to wring ever more concessions from workers, weakening health and safety regulations, attacking benefits packages and pensions, and then proceeding to attack the right to strike and organize. So-called workers’ parties, the parties of social democracy, seeing their base in the union movement weakened, soon embraced neo-liberal principles, leaving workers totally voiceless in official political institutions. The entire project was justified by values that workers, especially American workers, embrace: liberty, freedom of competition, to-the-winner-go-the-spoils principles of distribution. It undermined more traditional working class values: social support for the socially vulnerable, democracy as social solidarity and not just voting, material and not simply formal equality. For the ruling class, neo-liberalism was a triumph. Unions are no longer fighting organizations capable of resisting the social effects of global capital flows, workers’ parties have been co-opted, and a massive re-distribution of wealth from workers and the poor of the global south to the European and North American ruling class continues unabated. On the other hand, for workers and the poor, the plants and animals of the planet, and the life-support systems all depend upon, neo-liberalism has been disastrous. Neo-liberalism is a more virulent form of the money-value system that drives capitalist society. The money-value system equates rationality and goodness with that which serves the growth of money-value and secures its accumulation in ruling class hands. To illustrate: if there are higher monetary returns to bankers and real estate investors to be made by building islands in the shape of the world off the coast of Dubai to be inhabited by the ultra wealthy, than there would be in building affordable housing for the poor of Detroit, then money will flow to Dubai. No real life-requirement is met by this decision–the rich already monopolise most of the world’s beautiful coastlines—and the poor remain in a state of deprivation, even though the resources exist to alleviate that deprivation by using available money to invest in affordable housing. That would not produce huge profits, and so it seems “irrational” to make the latter investment. This example illustrates the underlying structure of moral and political conflict today. 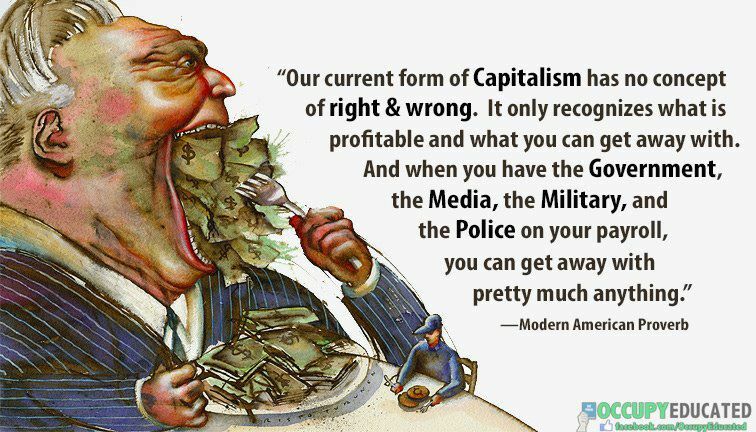 The capitalist money-value system—now cancerous in its neo-liberal phase—is at war against the life-value system upon which all planetary life—that of the ruling class included—depends. The fundamental principle of the money-value system is: the planet, its natural resources, its plants and animals, its people, the social institutions that they have struggled to create to regulate shared life, their life-requirements and their life-capacities, their talents and hopes, are valuable only to the extent that they can be exploited as instrumental inputs to the production and exclusive appropriation of money-value by the ruling class. 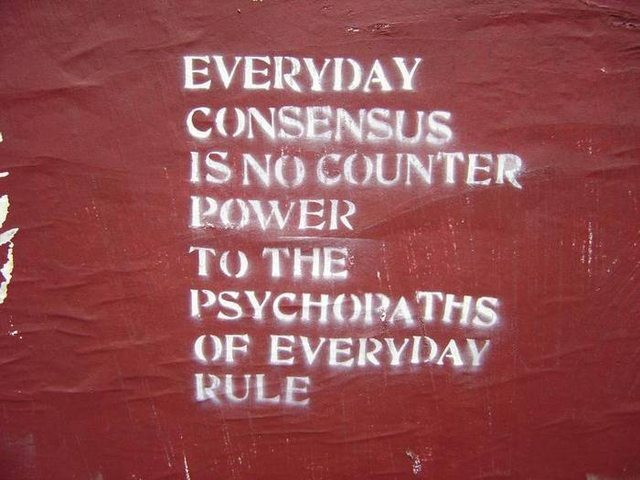 Any challenge to the institutionalized operation of this principle will be met with force, deadly if necessary. Still, even in the face of deadly force, life finds the courage to resist, for it has no choice when the totality of its life-support and development systems are threatened with destruction or capture by the totalitarianism of money-value rule. 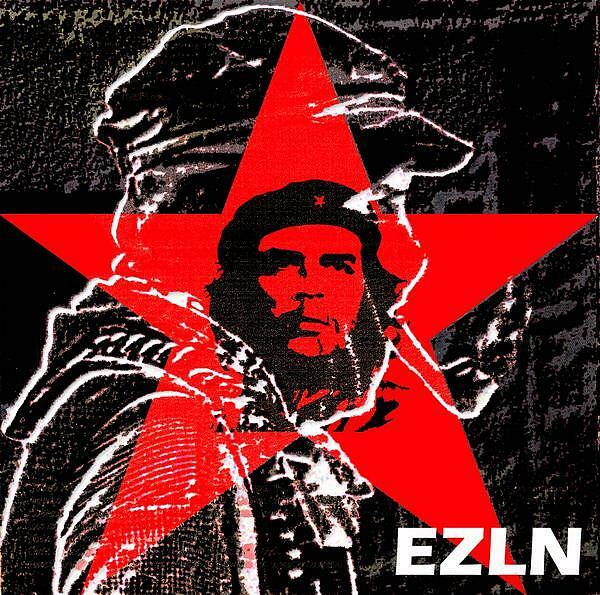 This principle—life resists its own destruction, human life organizes resistance against its own destruction and subordination–returned to public attention in the wave of struggles that began with the Zapatista rebellion in 1994. The Zapatista`s, reacting against the mortal threat to indigenous life-ways that the North American Free Trade Agreement (NAFTA) posed, took up arms in defence of their local-support systems and their traditional structures of life-organization, regulation, and enjoyment. They inspired nearly a decade long wave of anti-globalization/solidarity with the global south movement that harassed and harried government ministers and corporate executives across the globe, from Seattle to Quebec City to Genoa. The 9/11 attacks provided just the ideological cover the ruling class needed to violently stamp out this wave of militant anti-capitalist resistance. 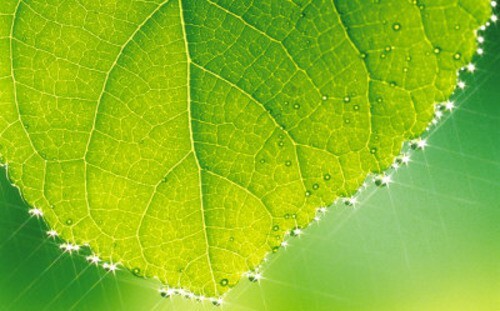 The underlying contradiction between the principle of the money-value system and the principle of the life-value system—natural and social resources are valuable not as means of making money but as means of satisfying life-requirements, through which the capacities of living things, and thus their enjoyment of life, grow–was not addressed by repressing the anti-globalization movement. Life-value movements reacted against the various fronts in the oxymoronic “War on Terror,” and remained active, although small, against tremendous ideological pressures. Then came the financial crisis of 2008, a crisis so severe that most on the North American Left were expecting that the unemployment and homelessness it caused would be the antidote to Tea Party Republican populism. This crisis, it was hoped, would get the American working class moving again. But nothing of any notable scale happened in North America–until the occupation in Wisconsin, and then after Wisconsin, the occupation of Zuccotti Park, and after Zuccotti Park an occupation of almost every city across the United States and Canada. Just as the gross disparity in life-chances between the Global North and Global South motivated the anti-globalization movement, so the monstrous and widening inequalities within capitalist societies motivated Occupy. The financial crisis was not seized upon as an opportunity to repudiate neo-liberal wealth re-distribution, but as a pretext to intensify it. The financial speculators who caused the crisis were not stripped of their wealth and power; their institutions were bailed out at public expense and the bills paid by the working people of the world. In the aftermath of the crisis, “the focus of ruling classes shifted toward a war against public services… they announced an “age of austerity”–of huge cuts to pensions, education budgets, social welfare programs, public sector wages and jobs. In so doing, they effectively declared that working class people and the poor will pay the cost of the global bank bailout.” By 2010 “an additional 64 million people” had been impoverished by the austerity agenda. 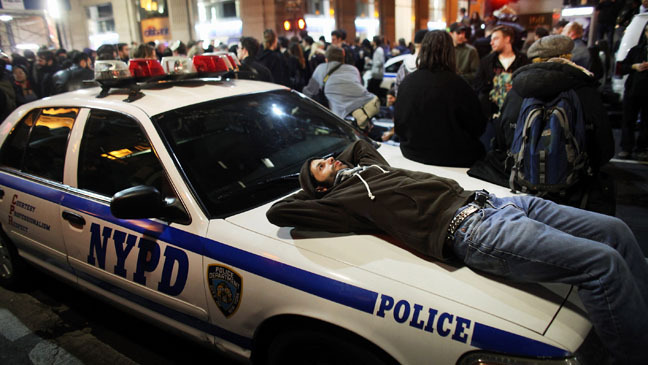 Occupy did not come from nowhere, it came from the anger this injustice—once it had time to set in—aroused. The demand for equality that motivated Occupy was not born of an obsession with arithmetic, but of a deep understanding that a society that allows its regulations and laws to become the instruments whereby a tiny financial elite enriches itself at the expense of everyone and everything else: cannot be democratic because it is not a single society bound together by shared interests, no matter how thin. Such a society devolves towards a servant economy in which the majority lives and acts only at the pleasure of the moneyed rulers. The movement that erupted on September 17th was not first and foremost about taking wealth away from the ruling class; it was, much more–about re-asserting democratic control over the economic and political conditions of free human life. The more or less spontaneous decision to remain in Zucottti Park rather than go home had immense symbolic and practical import—it announced to the financial elite a few blocks east that people were organizing to reclaim the life-space colonized by capital and returning it to public, democratic use. Since the occupiers were not going home, they could not be ignored, as is usually the case with even the largest demonstrations. The bankers and their ruling class allies would be forced, for more than two months, to hear the life-value alternative to the rule of money Occupy proposed. 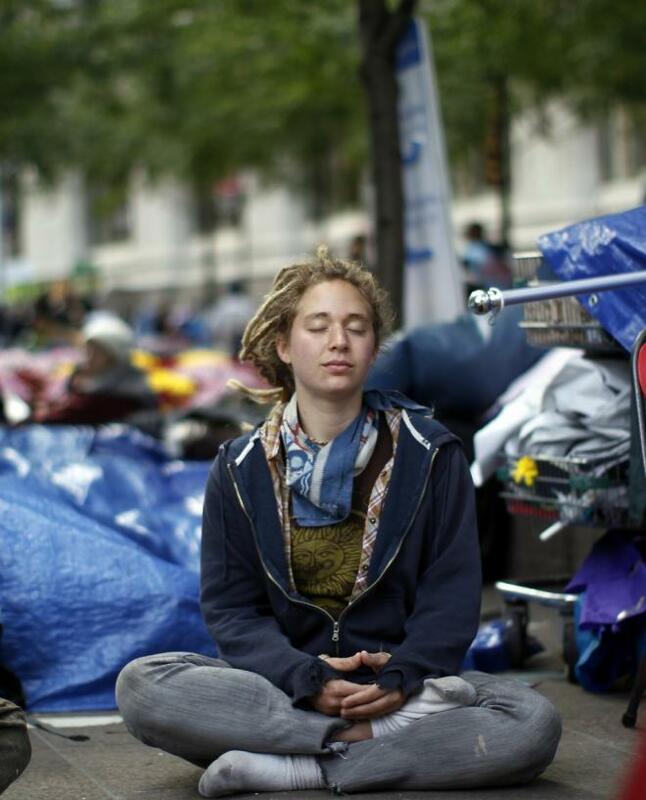 That life-value underlay and unified the core demands of occupy is evident from a moment’s reflection on the core principles of the original encampment, Occupy Wall Street as decided by the New York General Assembly. The core principles were: direct, participatory democracy, personal and collective responsibility, recognition of the way in which privilege affects social interactions, collective empowerment against all forms of oppression, a redefinition of the way in which labour is valued, the sanctification of personal privacy, the recognition of education as a human right, and the democratization and universalization of access to knowledge, culture, and technology. Thought through from the life-value perspective, this list forms a unified set of demands for the conditions of the development of social self-conscious agency. Social self-conscious agency is the distinguishing capacity of human life–the ability to creatively intervene in the environment conscious of our dependence on the natural life-support system and our interdependence with others in the social life-development system. Direct democracy ensures that everyone can actively contribute to the rules and principles that will govern collective life; personal and collective responsibility ensures that everyone will participate and accept the implications of collective decisions; recognition of privilege checks the advantages a sexist and racist society confers on some identities and thus contributes to equality of voice; collective empowerment against all forms of oppression entails struggle against the manifold of ways in which the shared life-interest in all-round life-requirement satisfaction is undermined by the operation of the ruling money-value system; redefining the value of labour leads to the recognition of the contributions that it makes to the creation of life-valuable goods and services, while education and the democratization of access to knowledge, culture, and technology ensures the multidimensional cultivation of the intellect, imagination, and emotions for everyone. The realization of these principles is obviously incompatible with a society in which human beings are reduced to tools of money-value growth. Instead, they imply that the true value of material and social resources is the satisfaction of those natural and social life-requirements the full development of social self-conscious agency demands. The slogan of Occupy Washington, “Human need before corporate greed,” makes my point as clearly as one could hope. The act of occupying soon shifted from a symbolic reclamation of public space to an experiment in realizing the values affirmed by the New York General Assembly. In place of the Machiavellian system-management, surveillance, and repression that is the truth of the politics called ‘democratic’ today, occupiers across North America devised new practices of participatory deliberation, interaction, and decision making. The egalitarianism affirmed by their slogan, “We are the 99%” became a lived reality of shared labour to find and distribute resources the encampments required for their survival. As one of the central figures of Occupy Windsor, Paul Chislett, said to me in an interview, the greatest sense of accomplishment came from the way in which people had to devote themselves as individuals to the collective project of figuring out how the camp could be maintained and governed. Individuals began to experience the value of their own labour differently—it was not a commodity to be bought (or, in Windsor, with the highest unemployment rate in Canada, more likely not bought) but a specific way in which an individual could contribute to a collective project, and feel valuable as a specific individual as a result. 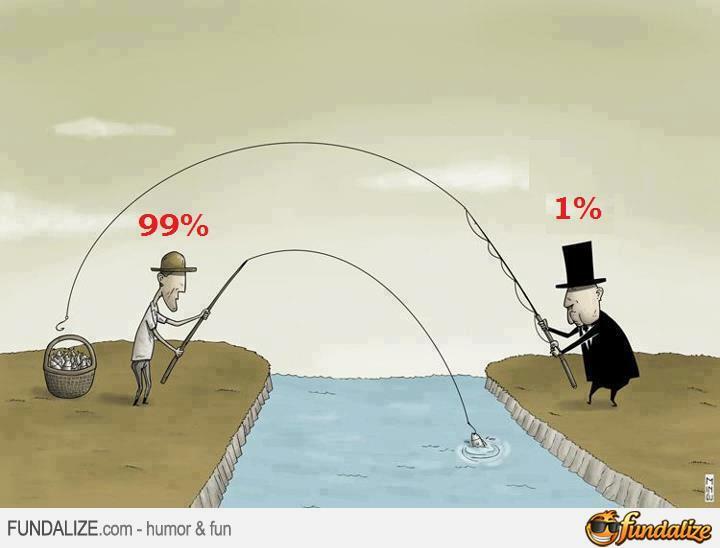 Occupy thus put into practice, as far as it could, the democratic egalitarianism its claim to be the 99% demanded. The slogan–if somewhat vacuous as a sociologically astute analysis of class structure–nevertheless vividly exposed the consequences of neo-liberal redistribution: the concentration of wealth in the hands of a tiny financial elite who, despite producing nothing of life-value, enjoys commanding power over life and death, of individuals, and whole societies. Where the people who control bond markets can decide the fate of whole economies, as in Spain and Greece, democratic equality is impossible. The financial elite has this power only because of the unequal share of resources they command, and because they have command over an unequal share of necessary life-resources, they, and not the people, decide the conditions of the people’s lives. But there is no rational justification for this concentration of wealth in the hands of parasitic financial speculators. It cannot plausibly be defended on grounds that it improves the life-conditions of people. On the contrary, it demonstrably undermines all the values on which liberal-capitalist society is supposed to stand– liberty (people are slaves to bond markets), equality (there are gross disparities in the distribution of wealth) and fraternity (people cannot feel themselves part of a common project when the ruling class lives in sealed off compounds apart from the misery they create). Unfortunately, the effort to live the democratic egalitarianism they believed in, without organized effort to reclaim productive resources from the ruling class, ultimately demanded more energy than small groups of people could reasonably be expected to expend. The longer the camps endured, the more effort their physical and political maintenance required, the more the problem of how to keep the camps running as open, tolerant, diverse, democratic spaces came to the fore. More and more of the deliberations concerned matters of internal self-governance and survival. The movement turned inward, away from positive strategies to change the world towards strategies that would ensure the survival of the camps as liberated zones. Cinzia Arruza explains this problem as it affected the original Occupy Wall Street site: “in the spasmodic search for the alchemical combination between the most possible democratic organization and the efficiency necessary to catalyse the movement… politics was lost… in a self-referential spiral.” The rapidity with which the movement spread proved that a politics that focused on the undemocratic implications of capitalist class structure was viable in the North American context, when it had seemed since the collapse of the Berlin Wall, that class could not be a mobilising idea. Yet, this first experiment in popular self-governance burned itself out, in part because of the “horizontal” practices that were central to its version of democratic egalitarianism. In contrast to staid leftist dogmas and ready-made prescriptions, horizontalism is exuberantly experimental, open to novelty, imaginative, and decisively concrete. It is about working together to find immediate solutions to immediate problems, rather than acquiescing to capitalist reality or awaiting the revolution that promises to solve all problems, but only on the day after. The essence of horizontalism as a positive practice is “active participation… the struggle to maintain autonomous forms of decision making as a conscious process.” Horizontalism stresses the need to live the change the movement demands; all horizontal movements are thus attempts, in the words of John Holloway, to change the world without taking power. Official political power is vertical, power over, and is always corrupting, according to proponents of horizontalism, of the values of democratic egalitarianism. 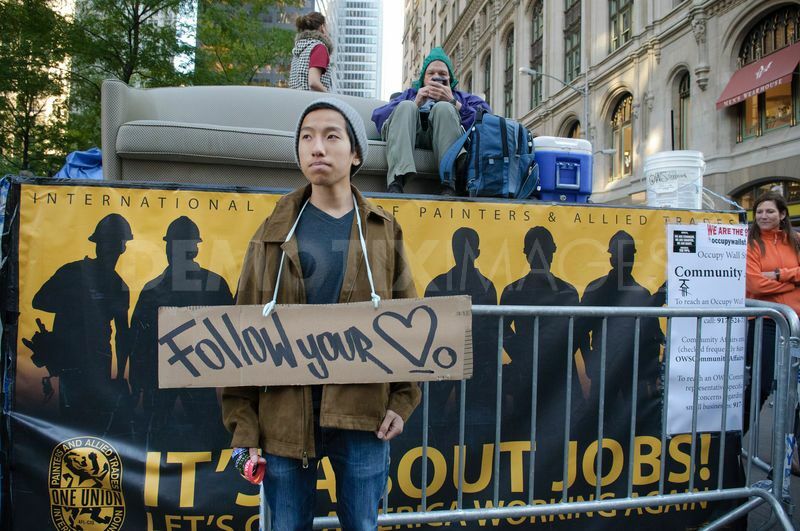 Anyone who played any part in Occupy could not help but be energized—initially—by the vibrancy of its horizontalist practice. Life-long activists are born of the excitement they first feel in being listened to for the first time. The general assemblies and working groups that defined the political life of Occupy allowed new voices to be heard, new ideas to be expressed, new political relationships and solidarities to be born. Joe Friesen, on Occupy Wall Street, explains the difference between horizontal practices which engage him and the vertical practices of official politics which repel him: “I have no interest in participating in the political process. It’s bureaucratic, it’s vertical, it’s exclusive…The principles I’m pushing and many people here are pushing are in direct opposition to the existing structure… The principles here are horizontal in terms of decision-making, transparency, openness, inclusiveness, and accessibility.” The radicality of the practice lies in its unwavering commitment to respectful deliberation—rather than force, violence, or doctrinaire program– as the source of solutions to even the most complex social problems. To live democracy in this way transformed the self-understanding of the people involved. They overcame the possessive egoism engendered by capitalist consumerism. They came to identify their individual good with their membership in and contribution to the encampments. Sitrin once again provides insightful analysis: “the ‘rule’ of the movements is affect… and networks of solidarity and friendship. This new value is apparent at the subjective level in people seeing themselves as new, and changed, and in their liking this new found agency and protagonism which is then reflected in their relationships to one another. This new value is also very concrete in that people are finding new ways to survive, to stay housed, and are helping others to survive on the basis of these relationships.” The objective and subjective coincide in each person’s socially self-conscious commitment to new forms of collective practice aimed at constructing a life-space in which life-requirements are satisfied through sharing and cooperative labour, rather than purchases of commodities. The struggle to live differently, and not just symbolically manifest opposition, marked Occupy as a higher plateau of the amorphous anti-capitalist movement. It was also its downfall. While it was quite real–whether threatened state repression ended the encampments–the movement was open to attack because it had weakened from within. Horizontalist practice enabled people to live the democratic egalitarianism they posed as a social alternative to capitalism, it enabled them to see through the socially constructed forms of market dependence that keeps people wed to capitalism, but they also discovered that this social construction is anchored in a very real material control over fundamental life-requirements. The encampments tried to function as substitute sources of life-requirement satisfiers. They could succeed in this substitution so long as voluntary labour and donations supplied the necessities of life. But volunteerism and donations presuppose productive labour—people can donate food only if they have already purchased it in its commodified form, and they can purchase it only if they have money and jobs to do so. Hence, rather than a material challenge to the structure of private and exclusive control over universally required life-resources, the new relationships that Sitrin describes tried to side-step that structure, leaving it untouched. The camps never generated an economy that could be self-sustaining because an economy that could be self-sustaining requires democratising control over the resources that are presently the private property of the ruling class. 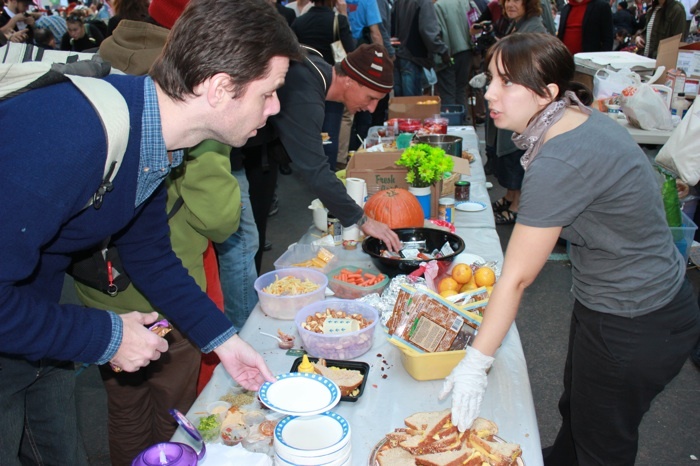 The horizontalism of Occupy was an experiment in alternative social relationships. These experiments in alternative social relationships cannot stabilise into actual alternative institutions unless they gain control over a resource base. They cannot gain control over a resource base if they refuse on principle to struggle for state power. That does not mean that they must leave state power and the forms of vertical relationships currently typical of its exercise just as they find it. Horizontalism could change the way in which vertical institutions function. But it must address the foundations of those vertical institutions: control over life by means of control over that which life-requires. Ultimately, you can change your world, for a moment, by not taking power, but you cannot change the world without doing so. Unless horizontal movements contest the structure of control over natural resources and social institutions, they remain vulnerable to state repression. Rather than address this key problem, Occupy tended to make a virtue of their political weakness and focus on the enlivening effects their horizontal processes had on the participants. While those effects were real and valuable, they were also elements of the inwardization which ultimately proved to be a disintegrative force. In his discussion with me Chislett concluded that the biggest failure of Occupy, after the initial excitement wore off, was that the campers ceased to think of how to build the camp into the seed of a genuinely revolutionary movement, i.e., a movement that could actually reclaim for universal life-development the resources that are currently mere instruments for the production and private appropriation of money-value. It would be unhistorical to have expected that a movement that expanded as rapidly and unexpectedly as Occupy would be able to develop into the sort of cohesive political organization required to contest the material and political foundations of capitalist power. However, it is not unhistorical to criticise turning a means of organization—horizontalism—into an end in itself, because the political problems caused by turning means into ends—inwardization, factionalization, moralization of organizational purity—have long been understood. The first systematic critique of organizational substitutionalism—mistaking the form of a movement for an alternative society—was perhaps that of Jo Freeman, who applied it to the valorization of “structurelessness” in the radical feminist movement. Once the priority of the movement becomes its own internal life, it ceases to engage concretely with the world problems people initially came together to solve. In order to survive, a movement must grow, but in order to grow, it has to convince the initially skeptical or passive that it is capable of changing society. It cannot change society if its priority is to preserve its inclusiveness and consensual purity. A political movement that is going to change the world needs open-ended debate, mutual respect, a willingness to experiment, and a capacity to keep itself free of dogmatism. It also needs discipline—the internal group discipline to make collectively binding decisions and the internal individual discipline to help carry them out even if one disagreed with the context of the decision. This internal discipline did not develop. Instead, Occupy groups began to fragment into more and more sub-groups with less and less coherent strategy to take the movement forward. Jodi Dean describes the way in which this disintegration affected Occupy Wall Street. The original Occupy “turned in on itself, obsessively reflecting on its failures to adequately include—people with full time jobs could not attend all the meetings, undocumented people and immigrants could not risk arrest in ways that others could, hierarchies of gender and race and class reproduced themselves within the movement—thereby letting questions of process take the place of discussions of action.” To point out problems of horizonatlist practice as an end in itself is not to condemn the participants or the practices. The point, rather, is to learn from the mistakes so as to avoid them in the next manifestation of struggle. Democratic politics is neither horizontal nor vertical but a synthesis of both. Democratic politics is horizontal in so far as it depends upon maintaining a space in which everyone with an interest can be heard and respectful relationships so that everyone feels confident enough to speak. Yet, there must also be a vertical dimension. A movement powerful enough to change society must speak with one voice—decisions must be taken by majority vote when consensus proves impossible and everyone has to subordinate his or her own private feelings to the job of carrying out the decision. If the decision proves to be wrong, then the group learns from the mistake and integrates what it has learned into the next round of deliberation. Mistakes prove fatal only when they provoke splits; when they feed a learning process they can be politically productive, but that learning process presupposes that the group is cohesive enough to hang together through failure. Throughout, reflection on process must be subordinate to the main goal: overcoming the institutionalized barriers to universal life-requirement satisfaction and life-capacity realization. Occupy did not achieve this goal, and given the low level of political confidence amongst anti-capitalist activists, it would not have been reasonable to expect that it could. Nevertheless, its contribution to the present and the future of that struggle are more than symbolic. I will conclude with a brief discussion of its material successes. It would be easy to declare Occupy a failure. It fell ludicrously short of mobilising the 99% in whose name it claimed to speak. The income inequality it decried grows worse. The democracy it prizes continues to erode into the totalitarian surveillance and security state. Evermore life-space, life-time, and life-resources fall under the control of commodity markets, while ever tighter labour markets undermine the bargaining power of workers. All of these claims are true, and none should be ignored. Yet, it is also true that the world is not the same after Occupy as it was before. It is still a world ruled by money-value, but it is also a world in which a new generation of activists has been energised by their experience of the life-ground of value in political action in the encampments. That which is of ultimate importance is not Occupy, but the contribution that Occupy makes to the long-term struggle to create a world governed by a life-valuable social morality. If it has taken over two hundred years to understand and institutionalise the formal rights of liberal citizenship, it should surprise no one that creating a society in which those rights are made concretely real as universal and comprehensively accessible to the natural and social conditions of free life-development and enjoyment is a long term and open ended project. Occupy, though short lived, made four important contributions to that long term project. Occupy has inspired new movements in its wake that continue its work in new directions and in relation to distinct but related problems. In my discussions with Paul Chislett the theme that he kept returning to was the way in which the experience of direct democracy transformed the people in the camp. In Windsor—a small industrial city whose camp was also quite small—the homeless people that proved to be a problem in larger centres became some of the most important activists. Their being welcomed and involved in the political life of the camp transformed them, helping them to overcome long-standing addictions and providing the context they needed to rediscover their subjectivity after years of being objects of social service bureaucracy and police violence. These are only the most dramatic examples of the most important achievement of Occupy—everyone who camped out, who participated in general assemblies, who performed solidarity work felt the power of collective agency. They discovered how good it feels to discover like-minded people and to discuss with them how a new world might be built. Once one has had this experience it is difficult (but not impossible) to rest content with the pre-packaged diversions of commodified enjoyment. The feeling of unity without ego-dissolution stays with people, it is what makes life-long activists out of weekend demonstrators, and it is life-long activists who are the trans-generational bond that transformational social movements require for their success. Once people have freed their desires and their joys from commodity markets the system is ultimately doomed, because you can repress dissent for a time, but you cannot repress lack of desire for the commodities the market requires people to purchase for its social reproduction. Once people have become affectively disengaged from the market and engaged with each other in making unified demands for a life-valuable world, there is nothing, ultimately, that the ruling class can do to save itself. 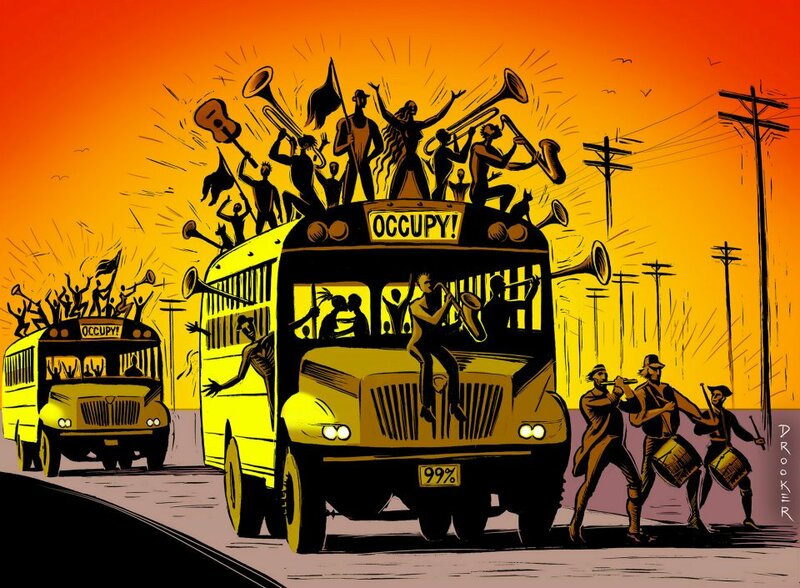 I believe that Occupy, by creating a space in which people could live and act out a dress rehearsal—messy and amateurish and full of mistakes—of the alternative society people know we need, has contributed more than any other movement since the mass mobilization of the 1960’s to the creation of a new generation of activists. Those activists have not disappeared. Although the camps are gone, the people and the ideas and the memories of the democratic egalitarianism of the camps remain. Those memories and those ideas live on in thousands of new websites, Twitter feeds, Facebook posts, and national and international contacts between participants. Together these sites and posts and networks have re-invigorated what Alan Sears has called the “infrastructure of dissent.” The infrastructure of dissent is “the range of formal and informal organizations through which we develop our abilities to analyse (mapping the system) communicate (through official and alternative media), and take strategic action in real solidarity.” The longevity of social movements depends upon the preservation and dissemination of political knowledge, and this preservation and dissemination is the function of the infrastructure of dissent. Occupy proved enormously creative in getting its message out—the virulent pace at which it spread owed largely to the digitized infrastructure of dissent that it created. 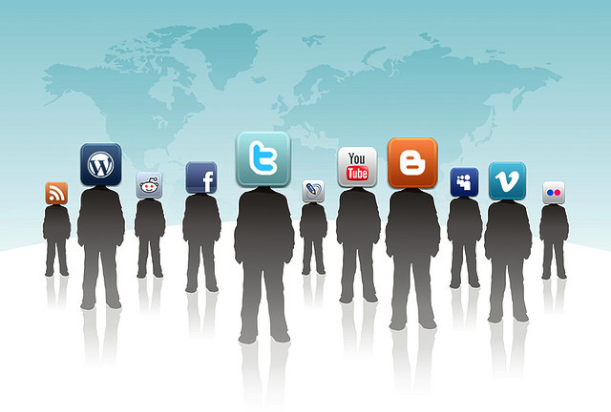 Of course, one can make too much of the revolutionary implications of new social media—technologies do not act, people do. But people in action need support and to find and build support means disseminating their message. Sustaining the fight requires sharing ideas, tactics, and strategies. The resourcefulness and ingenuity of Occupy in finding new ways to share information and new ways to build solidarity networks is now preserved in a revitalised infrastructure of dissent that will enable the next global wave of activism to begin from a higher plateau of understanding and political sophistication. The third major achievement of Occupy, directly tied to its tactic of remaining in public space for an unlimited amount of time, was that it provided objective evidence that life is sustained and developed by natural resources and collective labour, not commodity markets. For the time that they were encamped, the occupiers lived outside of the labour and commodity markets that drive capitalism. As noted above, this dependence is a system-requirement of capitalist society, not a genuine universal life-requirement. The struggle to keep the camps going made people cognizant of what is universally required for life: nature and other people; the material inputs that biological life requires and the social relationships the humanization of mammalian biology demands. Breaking the appearance of universal necessity which attaches to commodity markets is an essential step to freeing people from the belief that they have no choice but to comply with system-demands. Breaking people from this belief, in turn, is an essential step in the mobilization of social forces necessary to eliminating commodity and labour markets as the prime determinants of human life-chances. It is true that Occupy did not go far enough, did not challenge the structure of control over universally required resources that allows commodity and labour markets to play this role. It did, however, create a space in which people could see through capitalist appearances to life-reality, teaching them the distinction between actual life-needs and capitalist system-requirements. People discovered that labour could be allocated by the demands of social (i.e., camp) reproduction, not capitalist demand, that even the most mundane tasks could be fulfilling if they were performed willingly and not because the boss or economic necessity demanded, and that conflicts over alternative uses of resources could be resolved through democratic debate and not by which alternative would generate the highest monetary returns. This experience, finally, reinvigorated old social movements, like organized labour, and inspired new movements in the wake of the disappearance of the Occupy camps. 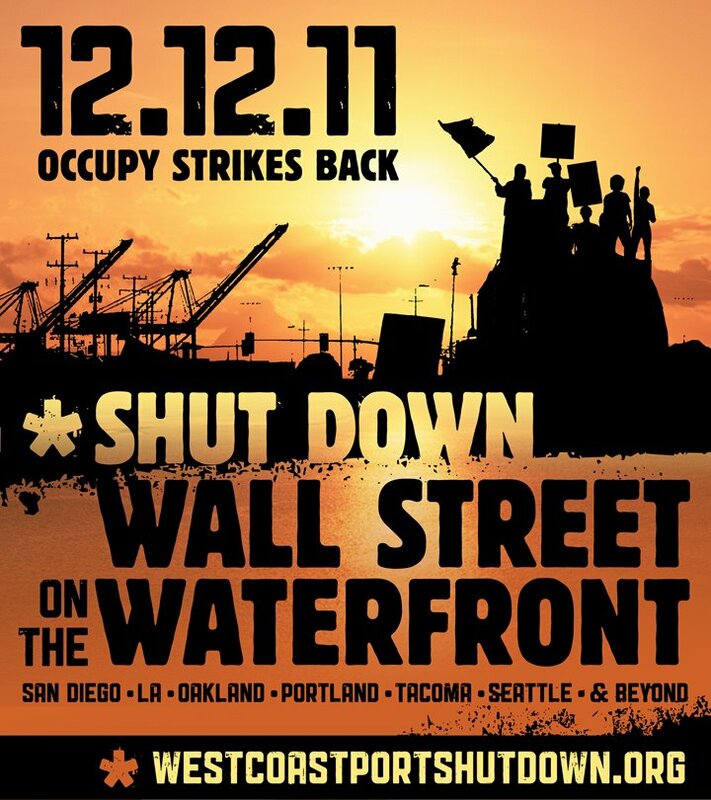 Perhaps the political high point of Occupy was the “general strike” organized by Occupy Oakland. As many as 20 000 people took part in this day of action, organized in response to police attacks on the main encampment. While Occupy has not yet led to a dramatic upsurge in strike activity or labour militancy, it has at least taught the lesson that novel forms of open-ended militant action, not more concession bargaining, are required if the labour movement is to regain any political relevance. That lesson has been learned by new movements that have arisen in the wake of Occupy, most notably the Quebec student movement and the Idle No More movement of the First Nations of Canada. In the winter of 2012 tens of thousands of Quebecois(es) students struck against the provincial government’s plan to raise tuition fees. Many of the leading militants of the student strike were also Occupy activists. Unlike Occupy, however, the student strike won. In no small part due to the social movement their tenacity inspired, the government was defeated and the tuition hike cancelled. Idle No More erupted in the wake of an on-going housing crisis on a First Nation’s reserve in Atawapiskat, in Northern Ontario. Hundreds of people in one of the world’s richest countries live in ramshackle housing in a climate of dangerous extremes. In response, the Chief, Teresa Spence, began a hunger strike in December 2012. This hunger strike quickly developed into a national movement which, inspired by Occupy tactics, blocked rail lines, highways, and access points to border crossings to the United States. The set of problems faced by First Nation’s people emerge from the distinctive colonial history they have suffered, but the essential material problems they face—lack of control over the conditions of their lives—though generally more extreme, are shared with working class and oppressed people everywhere. Occupy lives on in their on-going struggles to reclaim their life-space, life-time, and the life-resources their freedom and dignity requires. Occupy has not disappeared with the closure of the camps. It endures in the consciousness of the activists who created it and the new movements it continues to inspire. True, its achievements did not match the exuberant rhetoric that its more excitable protagonists trumpeted in its early days, but it did not leave everything as it is. Most importantly, it was a living example of non-alienated, democratic social relationships. It did not generate the disciplined, permanent organizational form that a movement capable of wresting control over life-resources will require, but it helped to create the people who might one day work out what the organizational form must look like in the specific socio-historical context in which the fight for the material conditions of freedom plays out today. This movement is chronicled in Nancy Davies, The People Decide, (Boston: Narco News Books), 2008. For a more detailed and nuanced discussion of neo-liberalism see David Harvey, A Brief History of Neo-liberalism, (New York: oxford University Press), 2007. For its particular effects on organized labour see Greg Albo, Sam Gindin, and Leo Panitch, In and Out of Crisis: The Global Financial Meltdown and Left Alternatives, (Oakland, CA: PM Press), 2010. See John McMurtry, The Cancer Stage of Capitalism, (London: Pluto Press), 1999. For a more detailed history of the Zapatista rebellion and the political principles underlying it see Zapatista! Documents of the New Mexican Revolution, (New York: Autonomedia), 1994. David McNally, Global Slump, (Oakland, CA: PM Press), 2010, p. 4. 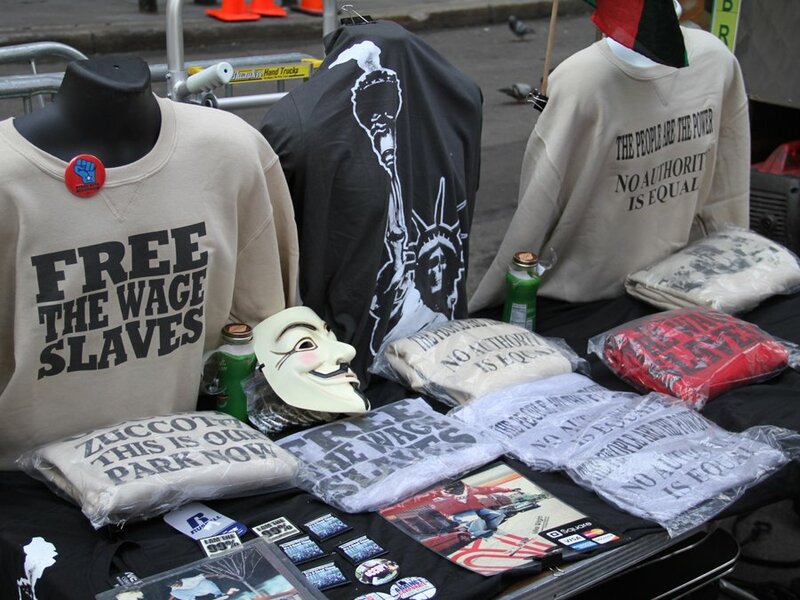 These principles are spelled out on the website of Occupy Wall Street, http://www.nycga.net/resources/principles-of-solidarity/ (accessed, January 11th, 2013). Quoted in Chris Hedges and Joe Sacco, Days of Destruction, Days of Revolt, (Toronto: Knopf Canada), 2012, p. 236. Paul is a tireless community organizer in Windsor, the director of the Windsor Worker’s Action Centre, and gave an immense amount of time and energy to Occupy. He was gracious enough to speak to me about his experiences in Occupy. I was not a central figure in Occupy Windsor. I participated in some general assemblies and did solidarity work, but did not stay in the encampment. Cinzia Arruza, “Occupy America,” International Viewpoint: On Line Socialist Magazine, March 18th, 2012, p. 4. (http://www.internationalviewpoint.org/spip.php?article2536) (accessed, January 17th, 2013). Marina Sitrin, Everyday Revolutions, (New York: Zed Books), 2012, p. 65. See the discussion of “power over” versus “power to” in John Holloway, Change the World Without Taking Power, (London: Pluto Press), 2002, pp. 28-30. Quoted in Hedges and Sacco, Days of Destruction, Days of Revolt, p. 150. 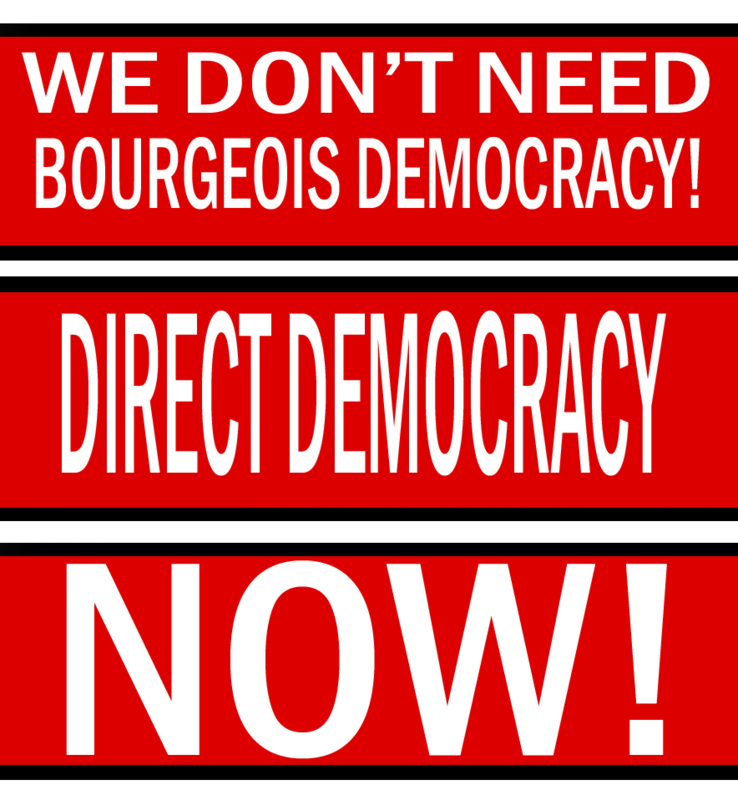 Sitrin, “Occupy: making Democracy A Question,” What We Are Fighting For: A Radical Collective Manifesto, Federico Campagna and Emanuele Campiglio, eds., (London: Pluto Press), 2012, pp. 88-9. Jo Freeman, “The Tyranny of Structurelessness” Berkeley Journal of Sociology, Vol. 17, 1972-73, pp. 151-164. Jodi Dean, “Occupy Wall Street: After the Anarchist Moment,” Socialist Register 2013: The Question of Strategy, Leo Panitch, Greg Albo, and Vivek Chibber, eds., (London: Merlin Press), 2913, p.54. Alan Sears, “The Left and the End of Harper.” (http://www.rabble.ca/news/2011/07/left-and-end-harper) (accessed, December 9th, 2012). Barbara Epstein, “Occupy Oakland and the Question of Violence,” Socialist Register 2013: The Question of Strategy, pp. 63-83.